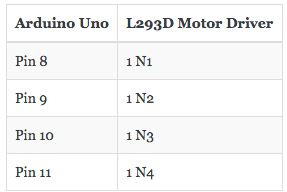 In this tutorial, we will build a Step Motor using an Arduino Uno. You will see that below the + and - symbols on the L293D: 5 - 12V. This is the voltage range for the L293D. We will be working with 5V, so we are good to go! 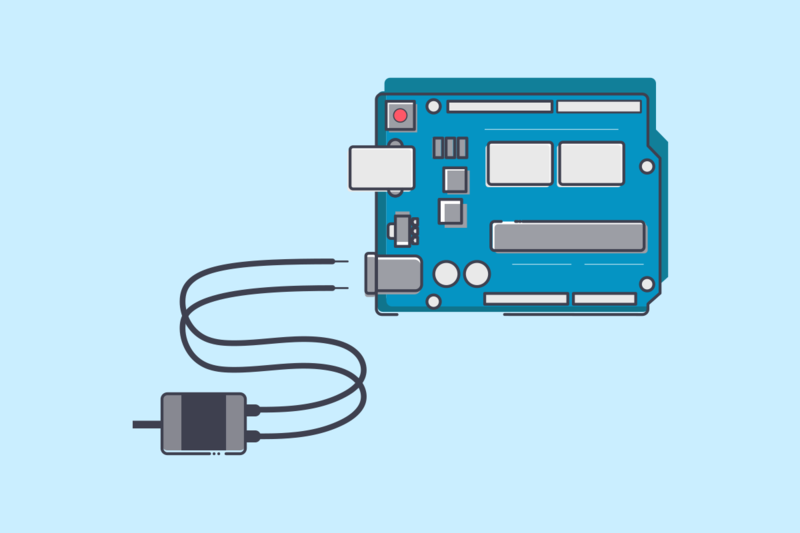 Connect your USB to the Arduino Uno and your computer. To compile and run the code for this tutorial, we will be using the Arduino IDE. You can download the latest version here. In Arduino, navigate from Tools to Board and select Arduino Uno. Then, choose your port: Tools > Port and choose the correct USB port. The port name may look strange, but that's normal. is actually 1, 3, 2 ,4. This is detailed in the datasheet for this piece of hardware. Since we arranged our pins in sequential order, we switch around the middle pins to mimic the pattern. Click Upload and see your Step Motor begin to turn! The Arduino IDE will help you experiment more with the stepper. Navigate to File > Examples > Stepper to view the sample code provided by the Arduino IDE. To take this one step further, connect your device to Wia and add Commands and Flows. If you have any questions, reach out to us using the chat icon at the bottom right hand side of our site!